Liverpool returned to winning form against Bournemouth on Saturday following back-to-back draws against Leicester City and West Ham United. Jurgen Klopp’s side needed a morale-boosting three points against the Cherries on Saturday and that’s exactly what they got courtesy of goals from Sadio Mane, Georginio Wijnaldum and Mo Salah. Roberto Firmino failed to get on the score sheet but there were signs to suggest that he was close to returning to his creative best. The Brazilian attacker has struggled to adapt to a new-look role at times this season, but a return to more familiar territory at centre-forward paved the way for a vastly improved showing. Firmino, valued at £72million per Transfermarkt, finished the game with a touch of genius to seal the points, cleverly back-heeling the ball into Mo Salah’s path to round off an excellent all-round display. His assist provided a glimpse into the instinctive quality the 27-year-old provides in the final-third, while the four key passes he played suggests Klopp’s front-man has rediscovered his magic touch. 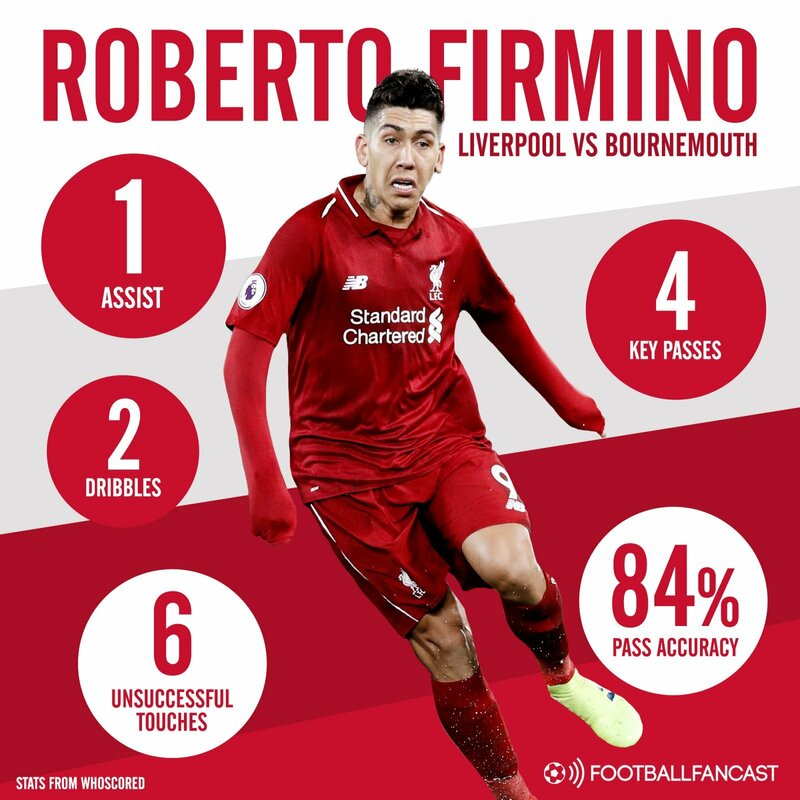 Six unsuccessful touches against Bournemouth prove that Firmino is not quite back to his scintillating best, but the fact his return to form arrived in tandem with a return to winning ways for Liverpool is certainly no coincidence.